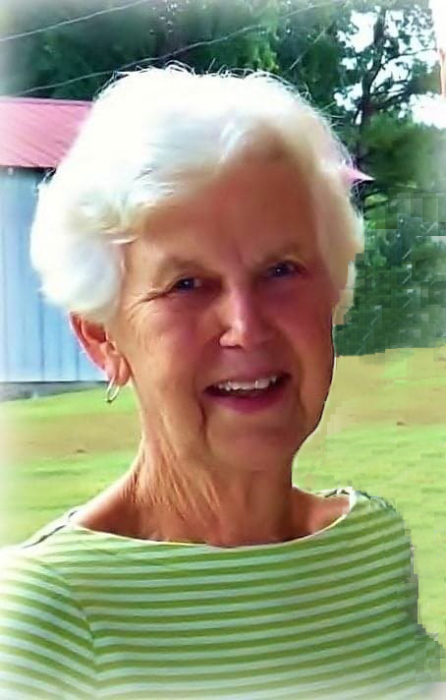 Bettie Arnold Mullen, 83, passed away Friday, January 25, 2019. She was born in Franklin County on February 14, 1935 to the late Aaron Lee Arnold and Laura Lee Frazier. Bettie worked as a sales clerk at Belk Department Store. The family will receive relatives and friends from 5:00 to 7:00 pm on Sunday, January 27, 2019 at L. Harold Poole Funeral Service & Crematory, 944 Old Knight Road, Knightdale, 27545. Funeral service 2:00 pm, Monday, January 28, 2019 at Poplar Spring Baptist Church, 89 Brantleytown Rd., Zebulon, 27597. Burial will follow at the Bunn Cemetery. Surviving: husband, O’Deyne Mullen; daughters: Kathy Mullins (Willie) of Louisburg, Amy Brewer and Tammy Heuts both of Zebulon; step-daughters: Faye Strickland (Glenn) of Zebulon, Kaye Mullen of Zebulon, Cynthia Jolly (John) of Wake Forest; grandchildren: Anna Heuts, Harrison Heuts, Jeremy Atlas, Brooke Heuts; great-grandchildren: Evan Atlas, Ethan Atlas; sister, Carrie Gray of Colfax. Bettie’s request was for flowers to be omitted and memorial contributions be made to Poplar Spring Baptist Church or NC Baptists on Mission, P.O. Box 1107, Cary, NC 27512.